1. Department : Various Govt. 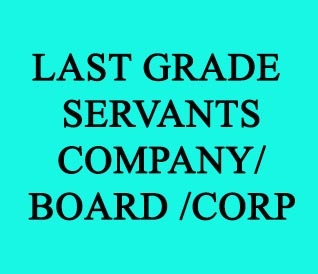 owned Companies/Corporations/ Boards. 3. Scale of Pay : Scale of Pay as prescribed for the post by the concerned company/ Corporation/Board. 6. Age limit :18-36. Only candidates born between 02.01.1981 and 01.01.1999 (both dates are included) are eligible to apply for this post with usual relaxation to Scheduled Castes, Scheduled Tribes and other Backward Communities. 1) Pass in Standard VII or equivalent qualification. 2) Knowledge of Cycling (Women and PH candidates are exempted from knowledge of cycling).